On June 25, 1927, W. A. Forster was sworn in as South Miami’s first Mayor, and the City began its eight decade journey. In this third part of our five part series we recognize the foundation and development of important community institutions. After the World War II boom, more businesses were opening and area residents were enjoying new economic prosperity. In 1954, the City reported that over $2,000,000 in building permits was realized, as private homes and commercial properties bloomed. 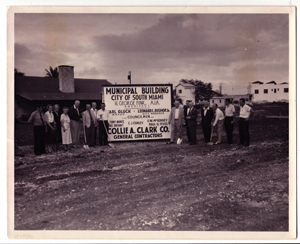 Despite the usual South Miami political controversy (the sitting and previous mayors lobbied against it), construction of the new City Hall was approved by referendum in 1955 (350 in favor and 339 against). Designed by noted architect Henry George Fink, the governmental hub on Sunset Drive was dedicated in October 1956 by Mayor Paul U. Tevis. 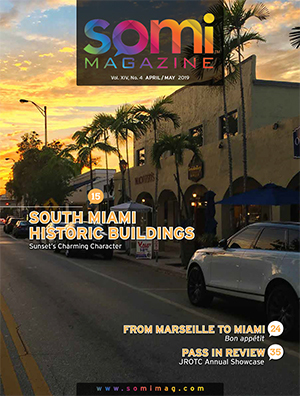 Wrote Tevis, “It is the opinion of many that the new City Hall marked the beginning of a new era in South Miami and that the building itself served as a criterion for future buildings of consequence. 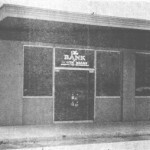 After many years of planning, the Bank of South Miami opened its doors on Sunset Drive, April 3, 1952. Prior to that residents traveled to Miami, Coral Gables or Coconut Grove to conduct their financial affairs. Eleven years later the Bank qualified for a national charter and the name changed to what we know today: First National Bank of South Miami. 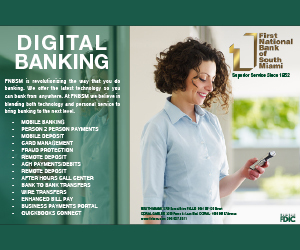 After 60 years, FNBSM remains the only bank headquartered and managed in South Miami. In addition to the hometown offices, they have offices in Kendall, The Falls, Coral Gables, the Eastridge Retirement Community, and Palace Adult Living Community. The opening of the Coral Gables office on April 3, 2012 was timed to coincide with the 60th anniversary of the opening of the first office in South Miami. Priding itself as the City’s hometown bank, FNBSM partnered with the community from its inception and continues to contribute time and talent, event sponsorships, and funding to non-profit organizations within the city. 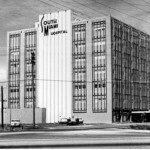 To serve the health and well-being of the community, on February 22, 1960, South Miami Hospital opened with a 100-bed facility and 15 patients. In 1969, a medical service center was located on a single campus. Subsequent improvements in the mid-1980s expanded the hospital facilities east of Manor Lane, while creating a linear park for the area’s residential neighborhood. More recent renovations and buildings have come to pass with a new medical arts center, trauma center, doctors’ offices and parking facilities. The hospital, part of the Baptist Health of South Florida system, offers state-of-the-art medical technology and services; job opportunities; the ability to treat residents and others in the Emergency Center; and increased revenue to the City from medical offices. And in a demonstrable commitment to the care of our children in the community, since 2007, a free neighborhood clinic for uninsured children who live in the city located on the grounds of Murray Park has been supported by the Hospital. The Emergency Center expansion project presently underway will add 80,000 square feet of space with operating room suites and imaging area. Construction on the $75 million hospital expansion began in July 2010 with a projected opening date within the next three years. Recently, South Miami Hospital was ranked by US News & World Report as the number one Best Regional Hospital in South Florida and fourth in the entire state. 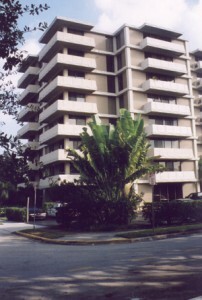 To meet the needs of a growing residential community, in 1966 an eight-story residential apartment building, named the Mayan Tower, was built adjacent to the central retail district at 5880 SW 74th Terrace. Concern over the building height gave impetus to the establishment of the South Miami Homeowners Association (recently renamed, South Miami Neighbors). Since that time, height limitations in the area (and elsewhere in the City) have been a focus of much angst and debate among developers, city officials and residents. Other developments in the City’s history at this time include this statement from Paul Tevis, “All parking in the North bound lane of US #1 Highway was discontinued, commencing March 1964.” Parking on US1—something almost impossible to imagine today! In 1967, the jurisdiction of the Fire Department moved to the County. 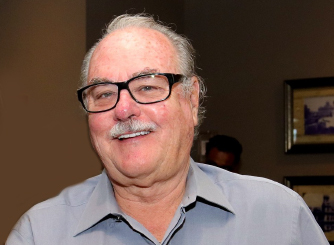 In the decades of the fifties and sixties, schools were built, the library came to town and the constant drumbeat of South Miami politics pounded on unabated as many City Managers and Chiefs of Police were fired or willingly resigned. And in what many might think to be an odd choice in today’s movement to plant native vegetation in the City, the City Council named the Parkinsonia florida (Arizona’s state tree) as the official City tree in 1966. Donna Shelley and John Edward Smith.